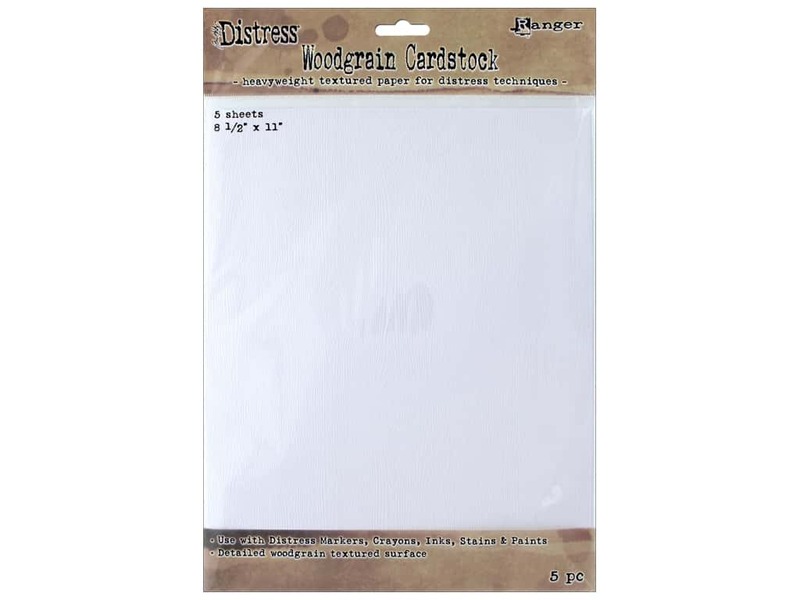 Description: Ranger Tim Holtz Distress Woodgrain Cardstock is a white heavyweight cardstock that has a textured surface with a detailed woodgrain embossed design. Use with distress ink, paint, stain, and crayon techniques to create layered effects. 5 sheets, perfect for card making and mixed media projects. 111 lb. 8 1/2 x 11 inch. 5 pc.